I’ve given you the technique for hot smoked salmon in the previous post, and the second part in the video series is Irish Whisky Oak Cask Smoked Trout. I smoked the fish in a Peetz hot and cold smoking cabinet from GardenGiftShop and Smokai Cold Smoke Generator. 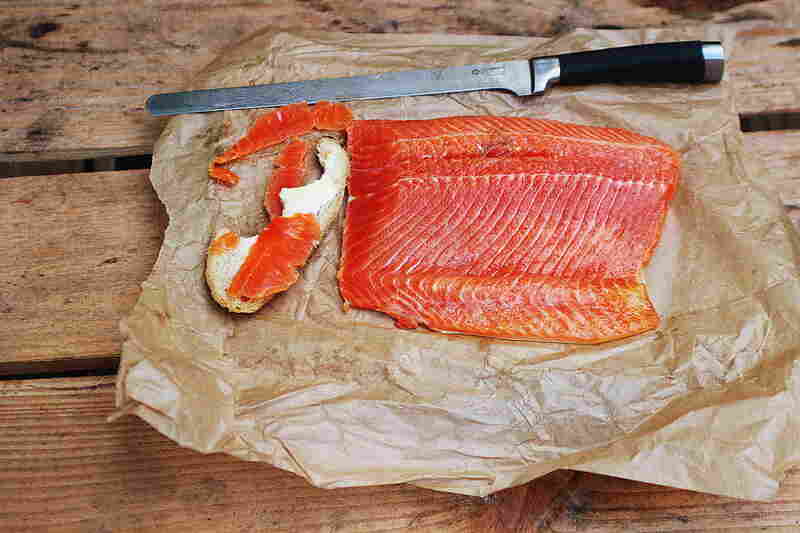 The Loch raised trout really was salmonlike but slightly more delicate and perfect for cold smoking. The process is detailed in the video below, but is basically cure in 50/50 coarse salt and sugar for 8-10hours, rinse and pat dry with kitchen towel, leave in fridge uncovered for at least 8 hours for a pellicle (sticky surface layer) to form, then cold smoke at 20degC or less, leave wrapped in a fridge for 24 hours for the smoke flavour to develop and permeate the fish. Slice thinly and enjoy!